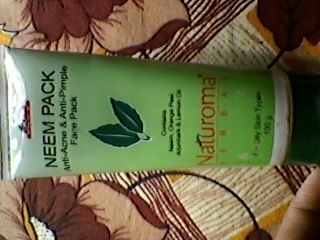 it contains neem, orange peel, arjun bark, clove oil and lemon. 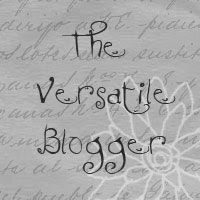 product's Net wt. 100 gm. Price - Rs. 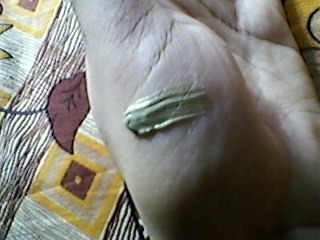 105.
this is the product on my hand.... a muddy greenish color. i used this product 7 days and my pimples became vanished. 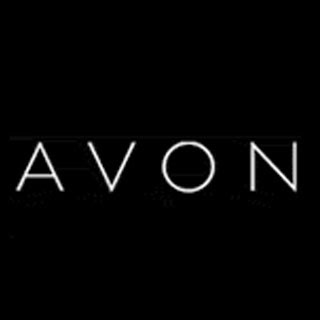 keeps my skin a clear and fresh feeling. Does that suits oily skin type? and, Where can I get it?